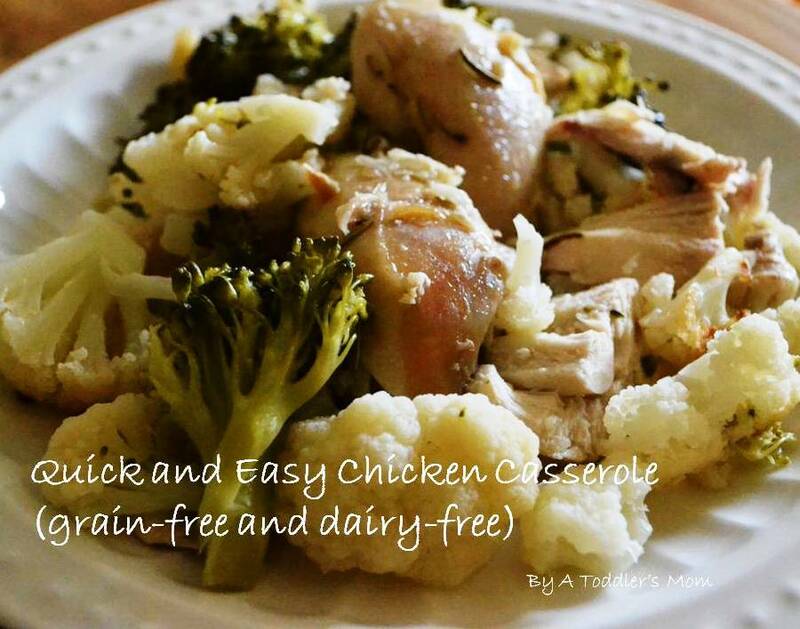 This recipe combines broccoli and cauliflower with chicken to make a delicious meal that is grain-free and dairy-free. Not only does it look elegant enough to serve when company comes over, but it is also quick and easy to prepare. Cook the whole chicken in the oven. About an hour before the chicken is finished, chop up the broccoli and cauliflower and roast them as well. Once the chicken is done, and the vegetables are tender, remove the bones from the chicken and mix everything together. Enjoy! I am so happy to have connected with you–I am always looking for new healthy dishes! Did you use any spices for this one? I didn’t use any spices or herbs in this one… just salt and pepper!